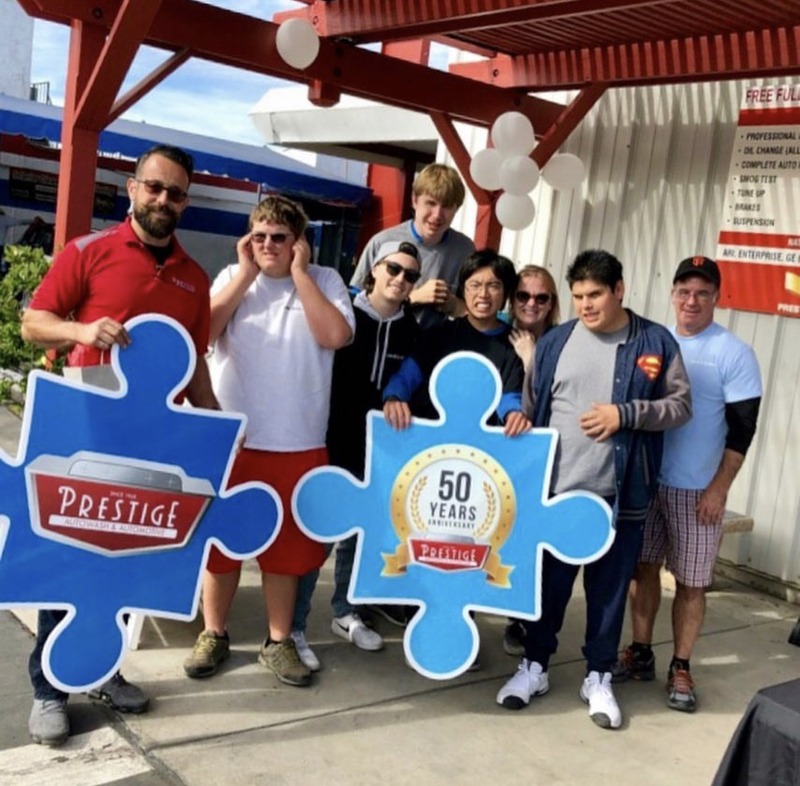 We just wanted to take a minute to thank everyone who came out and supported our 50th Anniversary Fundraiser, benefiting San Diego nonprofit Include Autism. Whether you came for a car wash, donated money or even your time, you helped us make a difference. We were thrilled by the turnout and appreciate the continued support of all of our amazing customers. Thanks to your generosity we were able to raise $2,000 to donate to Include Autism! This will go a long way to benefit the Include Autism Community Coaching program. The Community Coaching program is an inter-disciplinary, goal oriented, data-driven program that provides individualized behavioral support and community access to children, teens and young adults with an Autism Spectrum Disorder diagnosis. The program focuses on developing and generalizing skills and adaptive behaviors by utilizing evidence-based practices on an individual basis. We were able to have a number of children from the program attend the event–check out some of the photos below. We really enjoyed working with such an amazing local nonprofit and look forward to similar partnerships in the future! If you were not able to come to our Anniversary fundraiser but would still like to support Include Autism, please visit their website includeautism.org. If you are a nonprofit in San Diego and would like to work with us please email prestigesd@gmail.com. A special thanks to Batta Fulkerson and Gaslamp District Media for making this event possible.